Murphy was reprimanded by the 100th Congress in December 1987 for ghost voting and misusing House funds. He diverted government resources to his former law firm, had a ghost employee on his House payroll and had someone else cast votes for him in the House. The scandal ultimately led to his decision not to seek reelection in 1994. In May, 1999, Murphy was indicted by a Fayette County grand jury of engaging in voter fraud. He was charged with forgery, conspiracy and tampering with public records. Murphy insisted that he was only trying to help elderly nursing home residents fill out paperwork that accompanied an absentee ballot. According to the grand jury, Murphy and two others forged absentee ballots for residents of the nursing home and then added Murphy's wife, Eileen Murphy, as a write-in candidate for township election judge. The next month, following closed-door negotiations, all but one of the voter fraud charges were dropped. Following the hearing, he left the building by a back door to avoid an angry crowd outside. He was sentenced to six months probation and fifty hours of community service. "Murphy arraigned on vote-fraud charges". Pittsburgh Post-Gazette. May 25, 1999. "Most charges against austin murphy dismissed". Pittsburgh Post-Gazette. June 22, 1999. ^ Cox, Harold (2004). 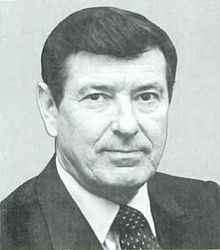 "Pennsylvania Senate - 1977-1978" (PDF). Wilkes University Election Statistics Project. Wilkes University. ^ a b Cox, Harold. "Senate Members "M"". Wilkes University Election Statistics Project. Wilkes University. ^ Cox, Harold. "House Members "M"". Wilkes University Election Statistics Project. Wilkes University. ^ "Austin murphy won't run again democrat beset by controversies leaving congress". Pittsburgh Post-Gazette. January 19, 1994. ^ Heltzel, Bill (June 22, 1999). "Six of seven charges against Austin Murphy dismissed". Pittsburgh Post-Gazette. Retrieved May 10, 2017.